Stichting Freehouse is an independent cultural organization, founded in 1999 by visual artist Jeanne van Heeswijk, that wants to stimulate cultural production and involvement in the development of public space. 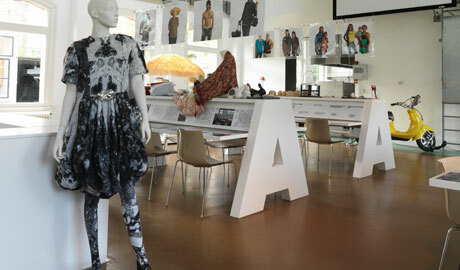 By actively promoting the collaboration between designers/artists and local entrepreneurs and inhabitants, the qualities present in Rotterdam's Afrikaanderwijk and Afrikaandermarkt are mapped. This exchange leads to a form of urban development that enforces the area's district economy, makes tangible the creative process and enhances the living environment. Freehouse works on a widely applicable model that enhances the power and publicity of the public domain through cultural entrepreneurship and policy change. The project questions the official and strictly regulated vision on public space and the marketplace. In this exhibition, Freehouse presents the Kenniscentrum De Markt van Morgen and Eerste verkenning wijk als coöperatief warenhuis. 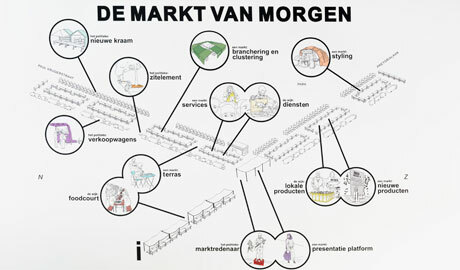 De Markt van Morgen is an inquiry of the future possibilities of the Afrikaandermarkt. Since 2009, new products, services and market stalls have been developed by market vendors, local entrepreneurs, designers and artists. 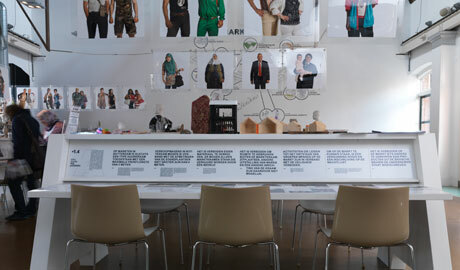 In the Kenniscentrum De Markt van Morgen, the results of the research are presented through products, photographs, film and interviews. Eerste verkenning wijk als coöperatief warenhuis focuses on radicalizing local production and creating an encompassing link between the district's different enterprises. They can be seen as independent stores-in-store, whereby the district itself is the warehouse in which those stores are established, allowing them to provide a wide range of products and services. At the same time, a platform is presented to redefine the term 'warehouse' and the associated term 'shopping mall'. They try to investigate the possibility of developing a warehouse that consists of local 'brands', as opposed to shopping malls with the well-known, standard shops. Freehouse werkt nauw samen met Kosmopolis Rotterdam en wordt mede mogelijk gemaakt door Fonds BKVB, Stichting DOEN, DeltaPort Donatiefonds, Deelgemeente Feijenoord, DKC gemeente Rotterdam en Vestia Rotterdam Feijenoord.